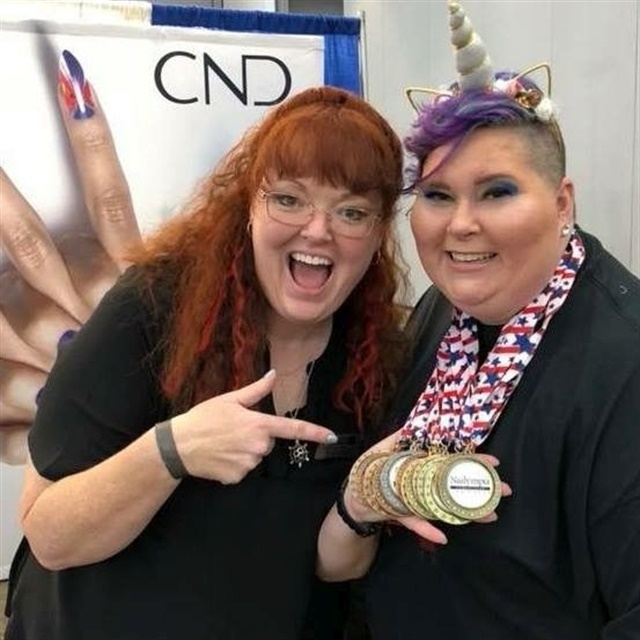 Meet Georgia nail professional RussAnna Dudley and hear her tell her story below. I hope you’ll be as awed and inspired by her as I am! Seriously, did I just win 14 medals? Pinch me! Who knew that on my second anniversary as a nail tech that I would be called up on stage 14 times! Let me back up and introduce myself. Hello, I am RussAnna Dudley and I live in Dawsonville, Ga. My cozy little salon is nestled in the North Georgia mountains in Dahlonega. I love stepping out onto my back porch and seeing the beauty that God has created. I attended ISSNMT (International School of Skin, Nails, and Massage Therapy) in 2015-2016. On March 8, 2016, I was issued my nail tech license. I have the most amazing and supportive husband who is often my nail model in competition. You can spot him by his colorful beard. So, how did I end up with 14 medals? First and most importantly, I showed up. That is probably the scariest part of competition. Making yourself vulnerable for critique can be crippling. We can be our biggest road block. Those voices that only we can hear, telling ourselves we are not ready. Do you remember your first full set in school? I know I do. I was petrified, but I survived and I grew. Second, I set REALISTIC GOALS. My first year I just wanted to finish. I did not have to finish pretty, just make it through. Poor Jan Arnold had to judge my sad frightening nails that would have anyone questioning if I had actually gone to nail school. 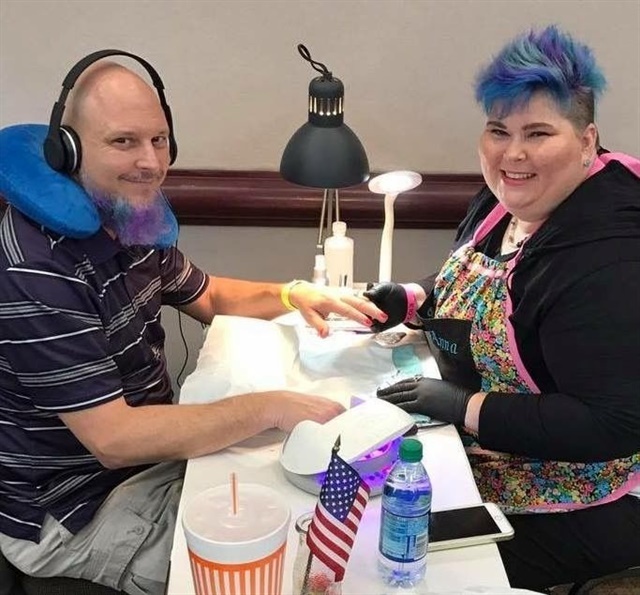 Let me quickly backup by saying that in the salon I mainly do gel-polish manicures and pedicures with a sprinkling of nail enhancements. The majority of the categories I have competed in are services that I don’t even offer. So that first year I had never done a set of pink-and-white gels much less have them match perfectly to a set of pink-and-white acrylics. Also, the first time I did a set of stilettos was in competition. The following year I just wanted to improve my score. You can’t go into a competition thinking you are going to win. Personally, I am just wanting to improve my skills. The biggest reason that I keep coming back to Nailympia is for the non-biased constructive criticism. Having the industry’s best from around the world telling you where you are strong and weak is such a gift. Once you have that constructive criticism you can begin to focus on those areas that need work. I have grown so much from taking classes that pushed and challenged me. I will not list all the people who have poured knowledge into me...mainly because I don’t want to forget someone. Investing in yourself is crucial. Competing in Nailympia the past two years has been amazing. It’s not because I placed (don’t get me wrong it’s really cool and the medals are shiny and pretty), it’s the growth. I can visually see the difference in my work. My clients can see a difference. 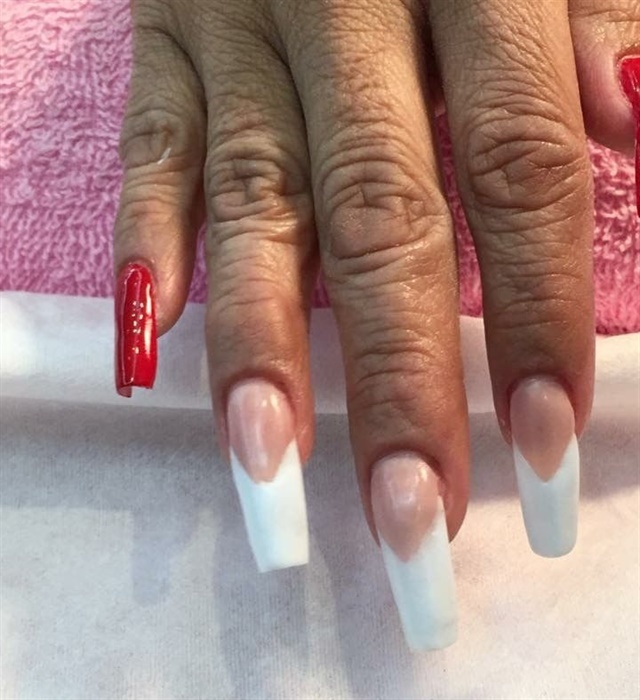 It’s the pride that my clients have when they share that their nail tech is a competitor. I hope that my experience will help give you the confidence to take that big scary step by SHOWING UP. 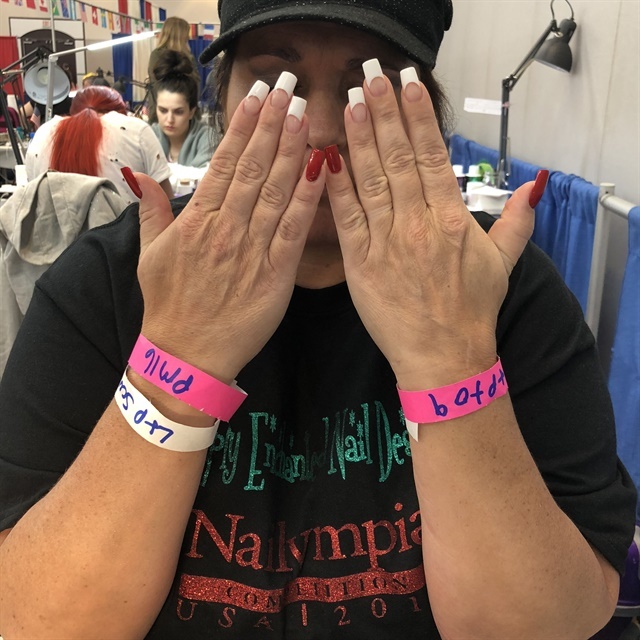 I hope I see your beautiful face next year at Nailympia in Houston.